There are two kinds for choices: wooden roof and metal roof. 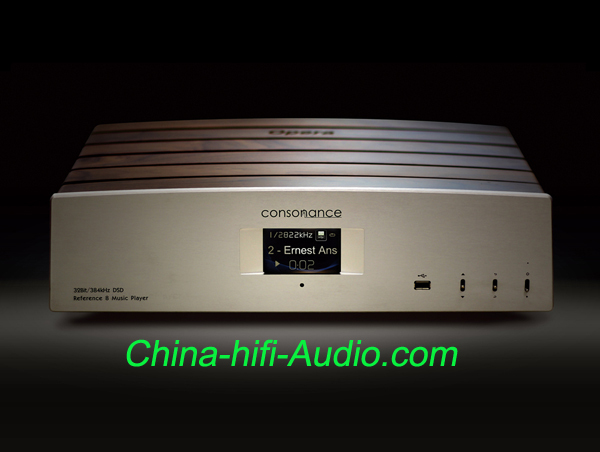 a) Reference8 digital music player adopts high-performance embedded CPU, and along with FPGA and high-precision dual clock system.Using two specially customized crystal oscillator,with a noise low up to130bB, which has the maximum capture of every music detail. b) In addition to support the PCM music file format,it also adds support for the DSD file playback. R8 can directly read the DIFF file and the ISO image file tracks can be read automatically. c) R8 is played using a direct DSD decoding, compared to the DoP and DoS two conversions,is with more directly fidelity.